Ooooh ahhhhhh! Spending bonfire night 2017 in Cornwall? 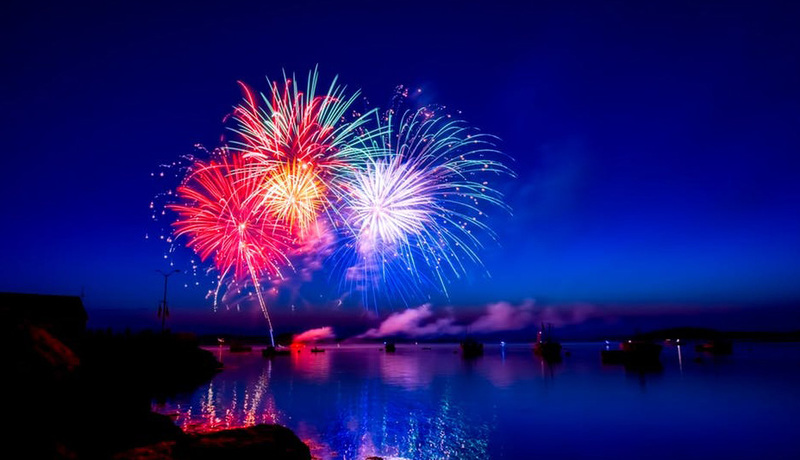 Choose from these 11 fireworks displays by the water. We like our fireworks best reflected in the ocean — ideally with a mulled wine in hand and sand between our toes. With that in mind, here are some of the loveliest places to see fireworks by the sea (plus a couple of rivers) in Cornwall this autumn. Unless stated, entry is free – though donations are usually welcome, particularly for smaller village displays. Pentewan Sands, near St Austell, hosted by Seahorse Club in Aid of Children’s Hospice Southwest. What else? Food and refreshments will be available from the Seahorse Club throughout the night and there will also be a kid’s disco (7pm) and live music later on. Porthtowan, hosted by Blue Bar & friends. What else? Hosted by The Stable, pizza and cider restaurant with Fistral Beach Bar, you can expect some good eats and plenty of cider to be on offer at this one. What else? Expect a family Disco, Bonfire BBQ, and of course fireworks over Whitsand Bay. What else? The fireworks display will be ON the water. Plus you can tuck into a hog roast, food from the Cornish Duck Truck and drinks from the specialty gin bar. Cheers! What else: Annual fireworks display with a special atmosphere. There’s usually a BBQ on Fish Quay for hearty bonfire snacks. What else? The event is a non-profit community event, and there will be collections for local organisations, raffles, BMX demonstrations, music and stands selling hot drinks & food. Plus an after party at WAX. What else? There’ll be a BBQ, hot drinks and snacks as well as a bar. All proceeds to St Ives AFC. What else? Food stalls, an outdoor bar, children’s entertainments and mulled wine and cider. What else: BBQ and outside bar, live music and toffee apples.